The Assistance Desk at the international secretariat of Reporters Without Borders (RSF) in Paris and its counterpart at RSF’s Berlin bureau are responsible for coordinating the administrative, material and financial support that RSF provides to journalists and media in distress. 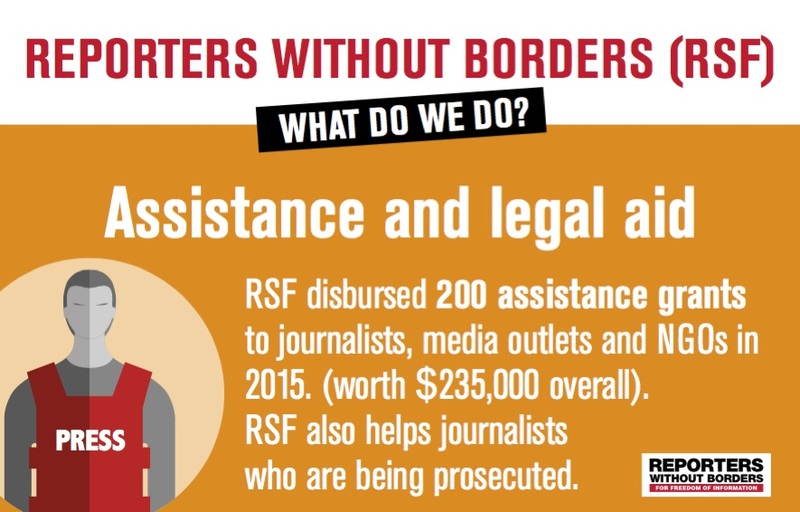 RSF disburses around 100 individual support grants each year that enable journalists who have been the victims of reprisals to cover their immediate needs, pay for medical or legal bills or find a safe refuge if they are being threatened. The Assistance Desk also tries to help the dozens of journalists who flee abroad every year to escape imminent arrest, persecution and threats. RSF supports the applications they make to the entities responsible for providing them with international protection.